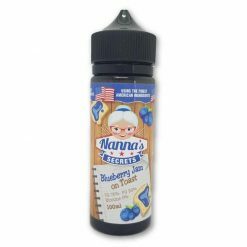 Nanna's secrets E Liquid, the best selling brand from the USA. 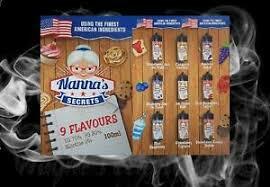 Nanna’s secrets does it again, Nanna has been busy busy busy crafting 9 new fantastic flavours. Using her extensive experience Nanna has smashed it out of the park with this new range. 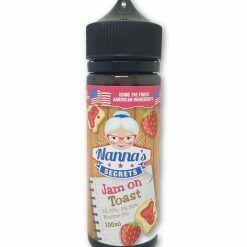 Made with only approved ingredients Nanna is always dedicated to bringing only the best quality premium juices to the table. 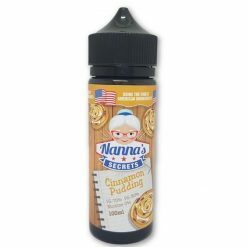 Nanna’s secrets is an American company that has been producing under Nanna’s watchful eye since 2014. And Nanna never fails to bring some of the best tasting liquids to market, but never ask her for the recipes, they’re a secret! 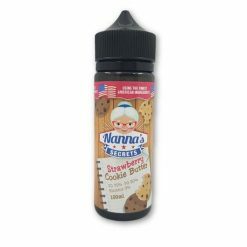 The flavours are Jam on Toast, Strawberry Cookie Butter, Strawberry Cupcake, Sour Strawberry Laces, Blueberry Jam on Toast. 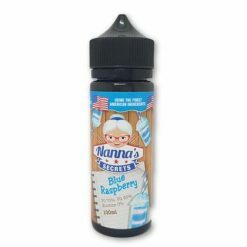 Blue Raspberry, Gracious Grape, Cinnamon Pudding and Ice Cream Roll, with this range Nanna has created something for everyone. This range is available in either 60ml or 120ml shortfills, so 50ml or 100ml of 0mg juice with room for enough nicotine shots to make an overall strength of 3mg. 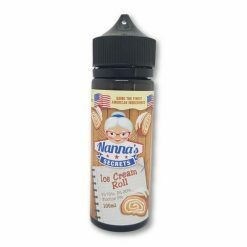 Each flavour is a 70vg/30pg mix and made in the USA.